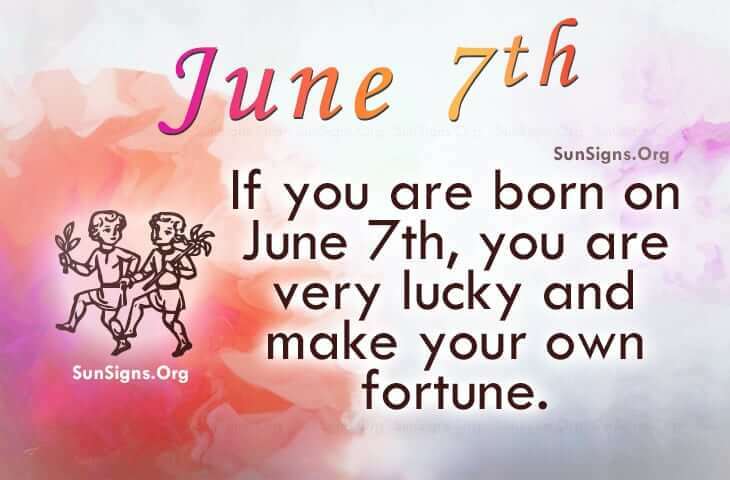 Famous people born on June 7 are self-reliant Gemini. People say that they are determined and it’s hard to get them to change their mind sometimes. But they still are extremely thoughtful of others. This could be a problem for someone wanting all their time and attention. As a lover and as a friend, the June 7 famous celebrities want a stable relationship. They are a breath of fresh air and people love to have their audaciousness. However, as a negative quality, they could mind their own business. They have good intentions but not everything is under their control. However, famous people born on June 7 are strong in more ways than one. They are normally fit people but every once in a while, they will be bothered with a minor illness or two. In addition, they could change the way they eat. This will help their immune system to properly fight off those irritations and keep their mood balanced. Famous people born on June 7th sure are “lucky” or at least that’s what their friends say. But instead, they make their own fortune. Having this quality, they are a tremendous help to others. They are a kind and generous soul mate but they have romantic ideas that could be too idealistic.